Renting Limo is common to the connoisseurs of a lavish lifestyle. This concept is certainly a routine in foreign countries but is catching up with Mumbai residents too. You need not to be a top-notch celebrity or billionaire to have limo experience with our rental luxury car service around. Having limo on hire can bring your dream car within your reach. 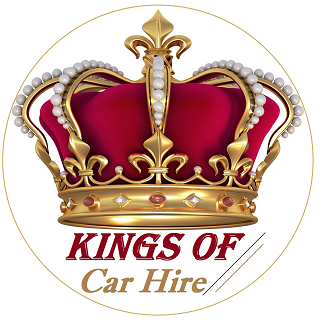 Kings of Car Hire brings for its patrons’ car rent limousine plans at the prices tough to find elsewhere. Car Hire Limousine service of Kings of Car Hire is the best thing that can happen to your travel plans. You name the Limo introduced from the choicest brands in the segment and we have it in our squad. From the classy and chic Hyundai Equus to the grandest of all, Chrysler 300, our glitzy string of Limos is truly enviable. To add to the grandeur of the trip, you will find world-class chauffeurs and tailored on-board services when you go for our rental service Limousine in Mumbai. It is the sense of world-class service, promptness and the understanding of the exotic lifestyle that adds an unbeatable zing to our way of renting Limo to the patrons. Happy customers and repeat clients are the true testimonials of the best quality service we extend to our car hire limo clients. This 12-cylinder engine equipped beauty on road comes to you studded with chic interiors, comfy seats and fully personalized touch in services extended by Kings of Car Hire. You hit the road with this queen and don’t make heads turn – this is just unthinkable! If you have a meeting lined up with the special signatories of the city, this limo makes your best companion. Tall yet compact, this classic excellence of automotive technology complements Mumbai roads beautifully and offers safety and comfort of another level. Redefining the concept of royal outing, this limo is every bit stupendous in its appeal. You can have entertainment-on-the-go with this innovation on wheels studded with features like DVD players, flat-screen TV sets and lot more. Reach to our car hire Limo expert to check their availability today! You need not be a technology nerd to try our car rent limousine service. All you need to do is click the limo of your choice, pay the rent as per the terms and that is it! Our limo service experts take care of all the aspects of allotting and sending the vehicle to the location of your choice. You deserve to be treated like a royal when you choose these exotic beauties to be your outing companion and this is exactly we do to make your visit par excellence. Limo on rent service of Kings of Car Hire is designed to meet the demand of the luxury vehicles for moving out- round the clock! We take special pride in being the swiftest service available and once you reach us you never leave us without a guarantee of the limo at your doorsteps at the time of your choice. So, when you plan your next outing in the city with friends, workmates or family – don’t forget to dial Kings of Car Hire; it does save you all travel hassles!